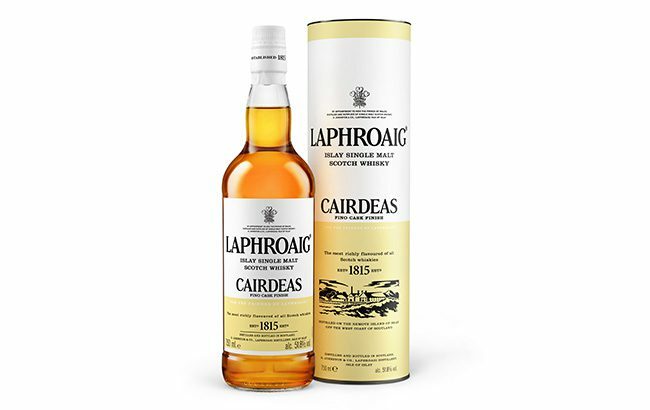 Islay distillery Laphroaig has released its 2018 Cairdeas Scotch whisky, which has been finished in fino Sherry casks. Available in limited quantities, Laphroaig Cairdeas Fino Cask has been matured in two different types of casks – first in first-fill Bourbon casks and then in fino Sherry casks. Distillery manager John Campbell creates a new edition in the Cairdeas range each year in honour of the Friends of Laphroaig loyalty group, of which there are almost 700,000 members from more than 150 countries. The 2018 iteration displays notes of toasted almonds, dried fruit, and sea salt, and complements Laphroaig’s peaty flavour. Bottled at 51.8% abv, Laphroaig Cairdeas Fino Cask is available across the US at an RRP of US$79.99. Last year’s Laphroaig Cairdeas expression was finished in quarter casks.